Of all the shocking twists that could happen in the world of videogames, perhaps there’s none more surprising than this: an aimbot used for good. 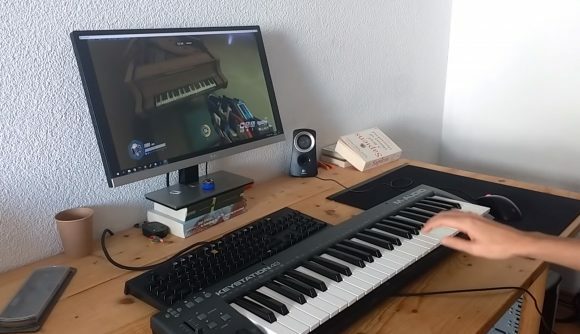 An Overwatch player has created a program which translate notes on a MIDI keyboard into precise shots in-game, so that you can play the Paris map’s instrument using a real equivalent. We’ve already seen some impressive tunes played on the Overwatch piano, and those were perhaps even more impressive thanks to the freehand talent needed to play. Yet I can’t help but admire this effort – from the script it took to make it happen to the ban risk you’d have to run to use even a non-competitive aimbot. The piano aimbot was built in Python, according to creator zbnone on Reddit. It requires some perfect positioning for you to start playing, but once you’re there the results are impressive. You can see the keyboard in action playing Ode to Joy. An additional direct feed video shows the French national anthem, complete with Widowmaker standing over the scene for patriotic approval. You can watch the video below, as brought to our attention by Dexerto. Live Overwatch still has some time to wait before getting all this piano action going – the Paris map is currently only on the PTR, but that’ll soon change. More Overwatch updates are always coming, and you can bookmark that link for details on what to expect. Personally, I’m hoping for an ever-expanding array of instruments. I won’t be satisfied until I finally see a full band on an Overwatch map.